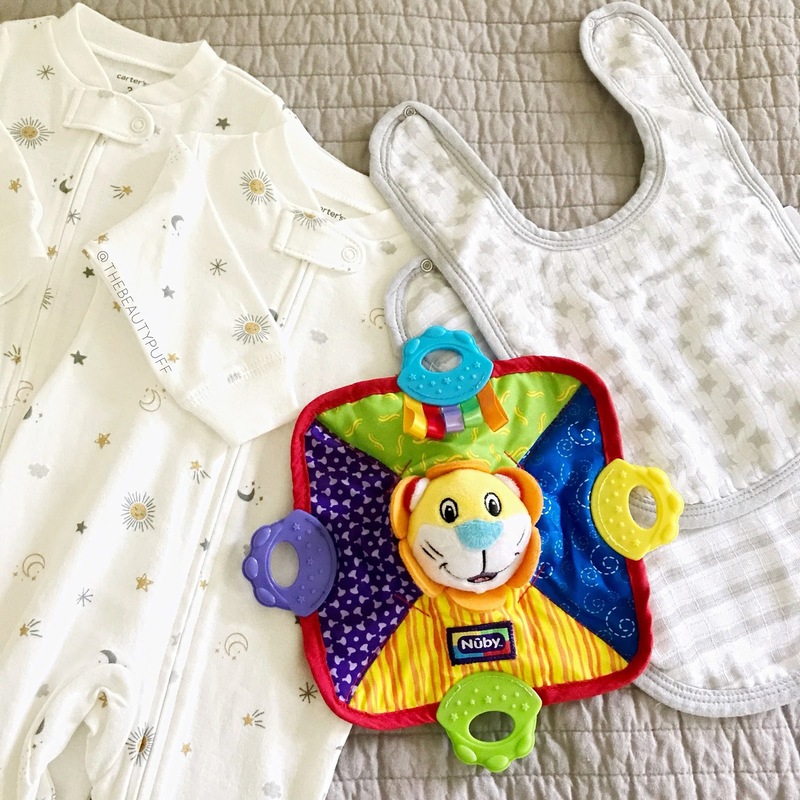 As we prepare for not one, but two babies, it can be a little over-whelming thinking of the amount of things we'll need. Teething toys will definitely be a necessity so I'm always looking for eye-catching teethers that are both comfortable and functional. 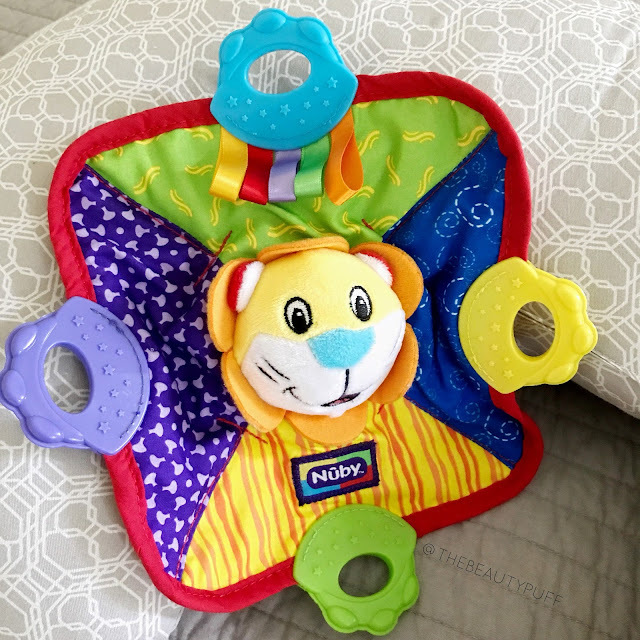 The Nuby Teething Blankie comes in four adorable patterns, each with a different animal in the center - a monkey, bear, frog or lion. We have the lion blankie and it's so cute! When it comes time for teething, options are always important! Not every baby will be soothed by the same teether. The Nuby Teething Blankie combines the comfort of a blanket and four plastic teething surfaces on each side to provide soothing relief. The lion even squeaks, so when it's time to play, it will bring a smile to your little one's face. I love the different patterns and fabrics on this teething blanket. There are even ribbons on one side to provide more interest and interaction. I see this blanket being fun whether my babies are holding it or if it's beside them on the floor. A great multi-purpose toy that will definitely come in handy! Even my three year old loves it and wants to play. She'll definitely be exploring all the baby toys before her siblings are ready for them, that's for sure! You can find the Nuby Teething Blankie on Amazon and Walmart.com below!